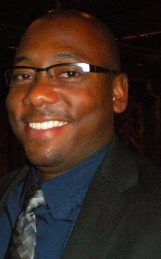 Joe W. Moore III received his Bachelor’s degree in music performance at the University of Central Florida where he studied percussion with Jeffrey Moore, Kirk J. Gay and composition with Dr. Jay Batzner. He received Masters degree in percussion performance from the University of South Carolina studying with Dr. Scott Herring and Jim Hall. He is currently pursuing a Doctorate of Musical Arts in percussion performance with a minor area in music composition from Louisiana State University under the instruction of Dr. Brett William Dietz. He studies composition with Dinos Constantinides and Brett William Dietz.